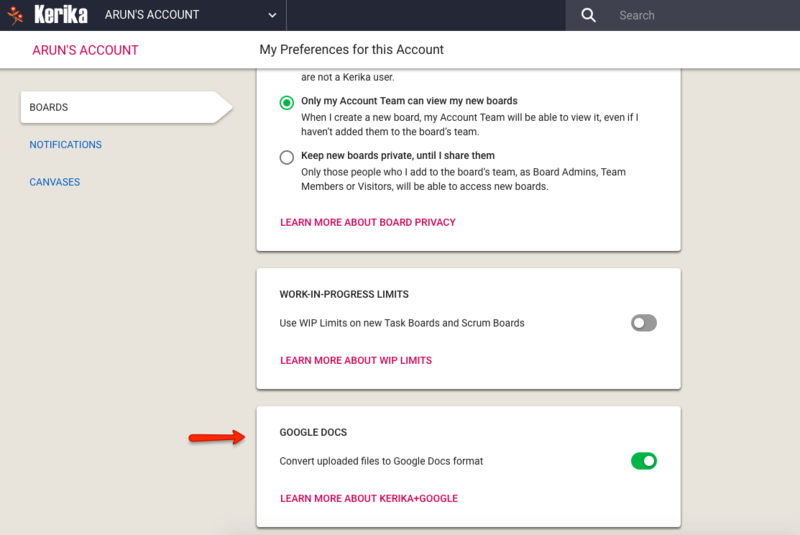 A new feature or version of Kerika. To handle this, Kerika checks the browser information returned by your computer when you try to sign up or login, to weed out the unsupported old browsers. It looks like ESR 60.3.0 is equivalent to regular Firefox 63, so we now let people using this ESR (or newer) to use Kerika. Along with our recent (and ongoing) effort to update all the Kerika tutorial videos, we will be rolling out a new system of sending welcome emails to new users. These emails will come once a day for the first 10 days or so (it depends upon how many tutorial videos we end up creating), and each email will include a link to a specific tutorial: e.g. how files are managed in Kerika, or how teams can be set up. Our goal is to help new users learn about core features of Kerika as quickly as possible, over the first couple of weeks of their usage. These emails are distinct from the notifications that might be generated through your normal usage of Kerika, such as (optionally) getting a task summary sent at 6AM. A simple unsubscribe system is also being rolled out in conjunction with these emails: if a user doesn’t find these tutorials helpful, they can stop receiving them. We are (finally!) getting around to updating the Kerika tutorial videos; what we have on our YouTube channel has definitely gotten stale. This video is intended for new users: people who discover Kerika and sign up to start new accounts. There’s a lot more coming. Views are unique to Kerika: no other work management system provides such an easy way to see what matters, across all the boards you are working on. 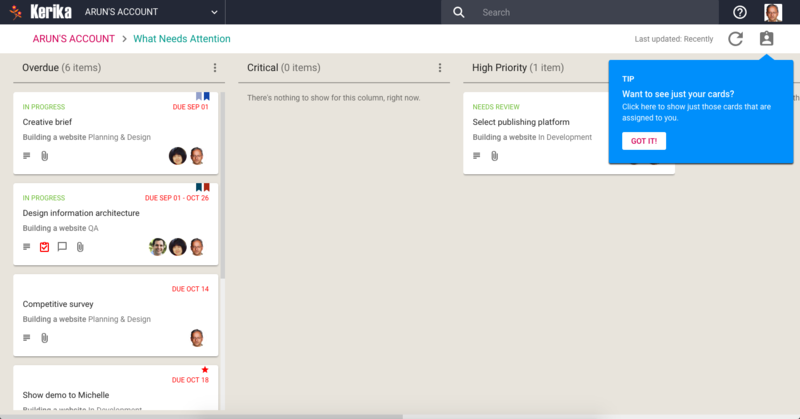 These Views make it easy for organizations to really scale up their use of Kerika across multiple projects and many ongoing projects at the same time. We have now added a very useful new View: What’s New and Updated. As you might guess from the name, this View lets you catch up on everything that’s new and changed, across all the boards you are working on — as a Board Admin, Team Member or Visitor. 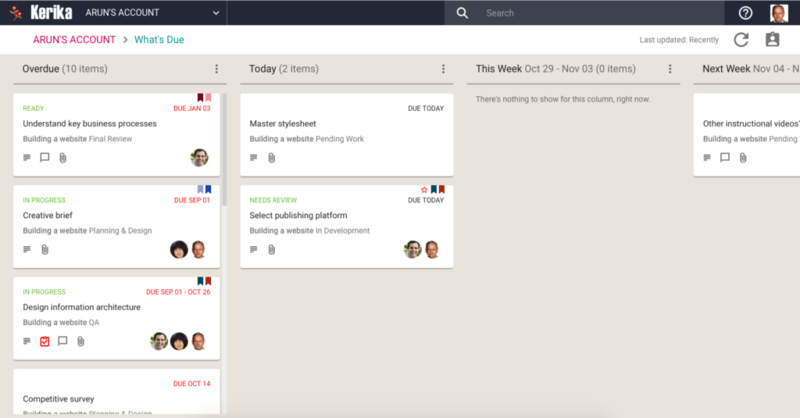 This View can work very effectively as a Dashboard for managers who need to keep track of many different boards, all working at the same time: instead of constantly revisiting each board one-by-one, this View is a simple, comprehensive way to see everything that’s changing across all your boards. The updates are shown in Kerika’s unique “heads-up” notification style: the blue New tags highlight cards that have been newly added to your boards (that you haven’t opened yet), and the orange highlights show you precisely what’s changed on your old cards. The Mark All Cards As Read action is useful if you want to ignore everything that’s going on in a particular board, e.g. when you have just returned from a status meeting where you got fully briefed on what’s happening on a particular board. 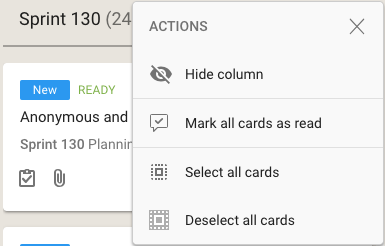 Another way to temporarily ignore individual boards is to Hide Column: this collapses the column from the View, and let’s you focus more intently on the handful of boards you care most about. 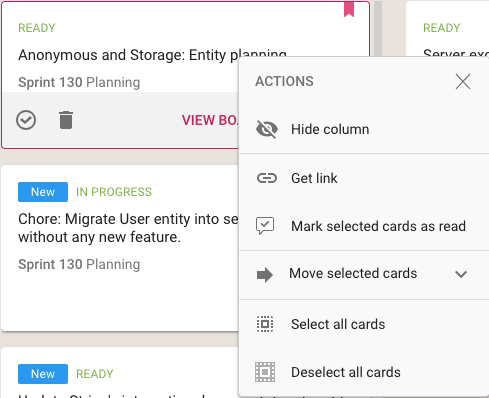 In addition to all the other actions you can perform on cards, you also have the option to get the URL (address) of card using the Get Link action. Every cards, every canvas and every board in Kerika has a unique address, and using these URLs anywhere on a board, e.g. in the board’s details or chat, will automatically set up a link between the two cards. When you mark a card as “read” on this View, it remains on the View until you click on the Refresh button (shown at the top-right corner of the View). And, as with all Views in Kerika, the What’s New and Updated View includes the “For Me” toggle button on the top-right corner: clicking this will quickly filter the View to show you just those items that are personally assigned to you. We have improved our Views feature to include a simple toggle that lets you filter the entire View to show just those items that are assigned to you. All the other items are hidden from the View, and a simple count at the bottom of each column shows you how many items are assigned to others. In the example shown above, 1 item is assigned to someone else, and is due today. Making Kerika available free for most universities and schools! We have offered free accounts to small nonprofits and schools/universities from the very beginning of Kerika’s existence, but this was always on an ad hoc basis: someone would occasionally ask us for a free account for their school or nonprofit team, and we would agree. When the organization was essentially a governmental entity that was getting funded through public money in a normal way. With these caveats aside, we have tried to be very generous and helpful for small organizations that are doing philanthropic work, or are schools. But our old process for dealing with these requests was really haphazard, and when we implemented our new billing system and improved account management features, we also made it easier for us to grant nonprofit status to a much larger group of organizations, providing they are small teams. Our new process makes everything much easier for schools and nonprofits: we are whitelisting entire domains so that everyone from that domain who signs up automatically gets a free Academic & Nonprofit Account. This means that only person ever needs to make a request on behalf of a school or university: if that gets approved, we will approve it for everyone from that school/university. With a free Academic/Nonprofit Account you can have up to 10 people working on boards owned by that account: it doesn’t matter how many boards you have, or how big these boards are. If you need more than 10 people, you will need to sign up for a Professional Account, which is $7 per user, per month (normally billed annually, as $84 per user). 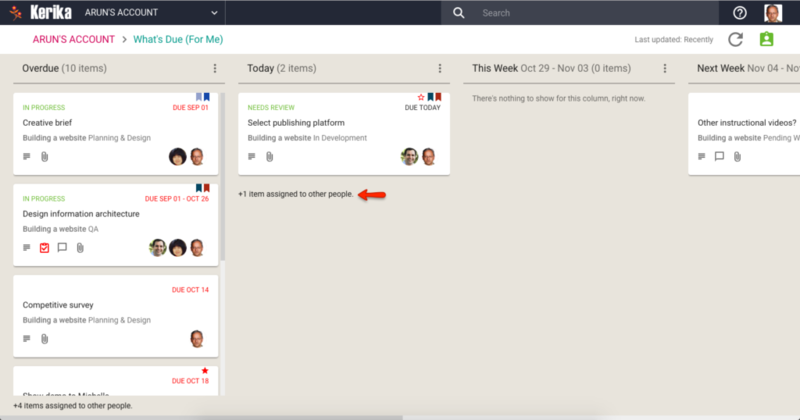 It’s hard for us to get the balance right between making sure our users don’t miss out on important project updates, while avoiding the impression that Kerika is “too chatty”. 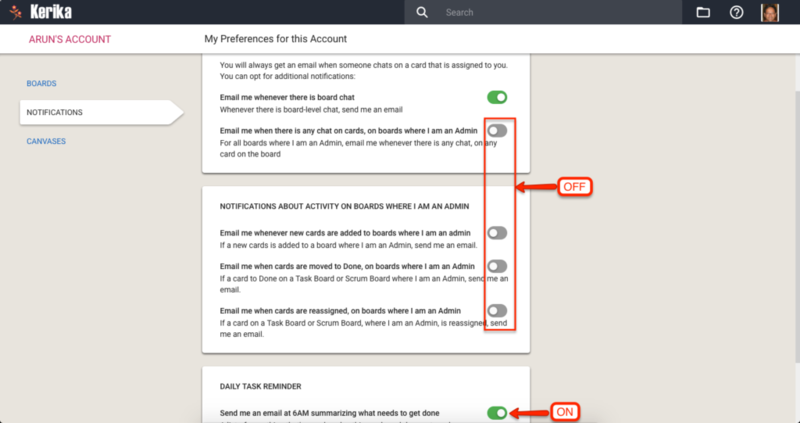 One reason for this change is that our Views feature does a good job of providing an overview of important updates across boards — and we are going to make it even better in the near future — so for new users in particular, we don’t want to give the impression that Kerika will increase their incoming emails, rather than actually streamline their existing communications. We have made a change to the Card and Board Attachments feature to prevent users from changing the extension of a file they have already added: for example, a “.xlsx” file can’t be renamed as a “.docx” file. We did this because changing the file type often had unpredictable consequences when a Team Member tried to upload an attachment. In the example above, an image has been added as an attachment to this card, and it has the .PNG file type/extension. When you hover your mouse over any attachment, Kerika will show you the actions that are possible with that attachment, one of them being Rename. If you are using Kerika with Google, you don’t have to convert your documents to the Google Docs format in order to use Google Drive. You can use this preference setting to ensure that your Microsoft Office documents, for example, are retained in MS Office format even while they they are stored and shared using Google Drive.